This e-learning programme has been designed for healthcare professionals, to help you make informed career choices and effective applications for your next career steps. Have gained a deeper level of understanding of how you can ensure your future career planning is informed, realistic and robust. Have compiled a distinctive, thorough personal portfolio of research and reflections contained in a downloadable workbook, that can be utilised for job applications and interviews. The programme is based around five sessions, with the first being an introduction to each course and the remaining sessions concentrating on the four stage SCAN career planning model as shown below. Each course within the programme is accompanied by a downloadable workbook in which you can undertake some of the exercises helping you to create a record and reflections of your career planning which can be used to support applications. Advice will be given throughout as to how you can access individual careers support where you need this to complement your online learning. You can use this information to prioritise what is important to you in making decisions about your career. You can gain greater insight into the working environment. 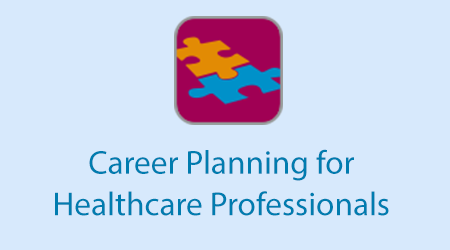 If you already have an account with e-LfH, then you can enrol on to the Career Planning for Healthcare Professionals programme by logging in to the e-LfH Hub, selecting My Account > Enrolment and selecting the programme. You can then access the programme immediately in the My e-Learning section.